You can reduce your environmental impact—and conveniently lower your electricity bill at the same time. Just follow our tips and invest in these handy tech gadgets. Whatever the season, keeping your home at the right temperature can be a big power drain—over 50% of your utility bill! For many of us, the summer months mean huge electric bills as we run the air conditioner constantly to keep our homes cool. So how can you keep your home temperate without running up a jaw-dropping bill? Your best bet is to install a programmable thermostat. These will let you program the time you're home and you're away, setting temperatures for the house during those times. That way, when you're out and at work, you're not spending energy keeping the air conditioner running. If you want to go a bit higher tech, the Nest Learning Thermostat ($250 at Amazon), learns your habits to keep the temperature in your home just right and you can control it with your phone for adjusting temperature on the go. 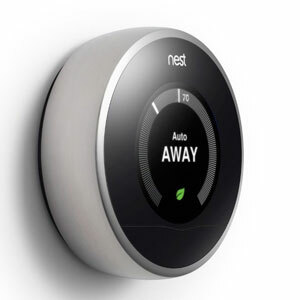 If you're balking at the cost of the Nest, you might look at the Honeywell Wi-Fi Programmable Touchscreen Thermostat ($150 at HomeDepot.com) which can also be adjusted from your computer or phone, but for a more reasonable cost. Even if upgrading your thermostat isn't on the agenda, you can hunt for places in your home that aren't properly sealed or insulated using Black & Decker's TLD100 Thermal Leak Detector ($37 at Amazon), an infrared thermometer that can measure temperature from a distance. It may seem like a small thing, but light bulbs can burn a lot of electricity over time—in the average home, about 10% of energy use comes from lighting! And while you may balk over the price of high-tech LED light bulbs, LEDs that are Energy Star certified use 75% less energy and last up to 25 times longer than an old fashioned light-bulb. Compact florescent lights cost less than LEDs and will save nearly as much power, though they only last 10 times as long as a standard light bulb—so if you're buying a new bulb, we still recommend an LED. Whatever you buy, make sure it's Energy Star certified, which means your light bulbs are guaranteed to be more energy-efficient than the competition. 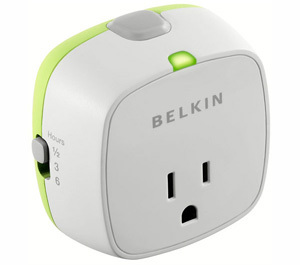 If you don't know where to start with saving electricity because you don't know which of your appliances are guzzling it up, gadgets like the Kill A Watt ($21 on Amazon) or Belkin Conserve Insight ($30 at belkin.com) can help. These devices plug into the wall and then you plug your gadgets or appliances into them—they'll then monitor how much juice the device is pulling down and let you know if any are using too much power. Knowing what's drawing the most power—and shutting it off, unplugging it, or replacing it–can definitely help you bring down your electric bill. You might wonder why you should invest in a gadget to "manage" your energy use when you can just switch your appliances off. But, even when not in use, plenty of our favorite gadgets keep draining a trickle of power which adds up over time. So once you've figured out which of your devices are causing your energy drain, you may want to invest in one of these gadgets, which you plug into the wall and then plug your devices into. If you don't want to pick up an extra gadget, you can get the same benefit by remembering to unplug rarely used devices.